This Christ With Bent Beam Crucifix is by the famous woodcarvers, PEMA. It is hand-carved in Italy of lindenwood and hand painted. The Corpus measures 6" tall and the cross, 13". 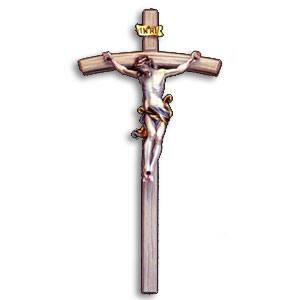 It's a beautiful crucifix and makes a wonderful gift.